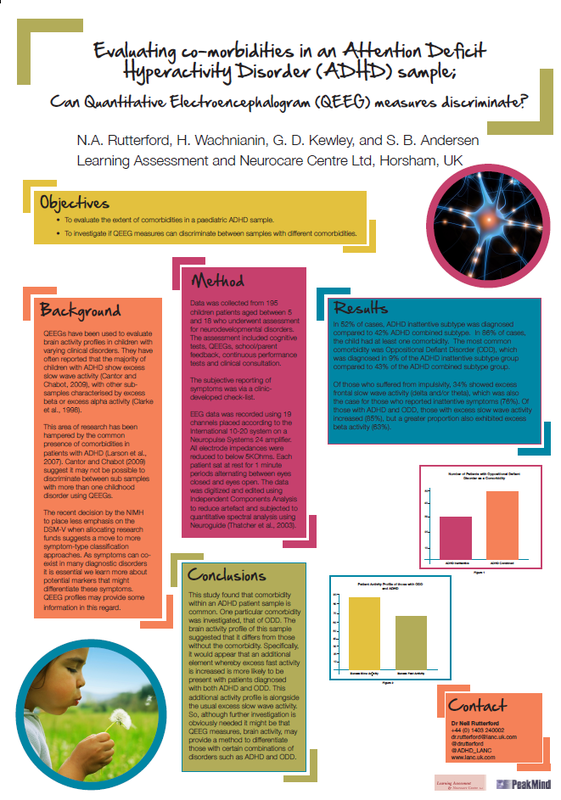 Dr Neil Rutterford is representing the Learning Assessment and Neurocare Centre at the 4th World Congress on ADHD in Milan this weekend. Dr Rutterford is presenting research conducted at the Centre which evaluates co-morbidities in an ADHD sample and if QEEG measures can discriminate between these co-morbidities. Please see the attached photo for more details regarding the research.